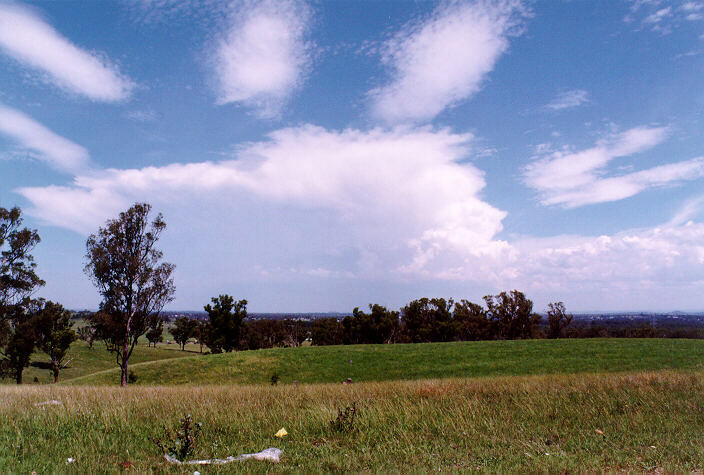 On the 19th of January 1996, after a trough had developed in eastern NSW, a line of storms developed on the mountains to the northwest of Sydney with cells to the southwest of Sydney. 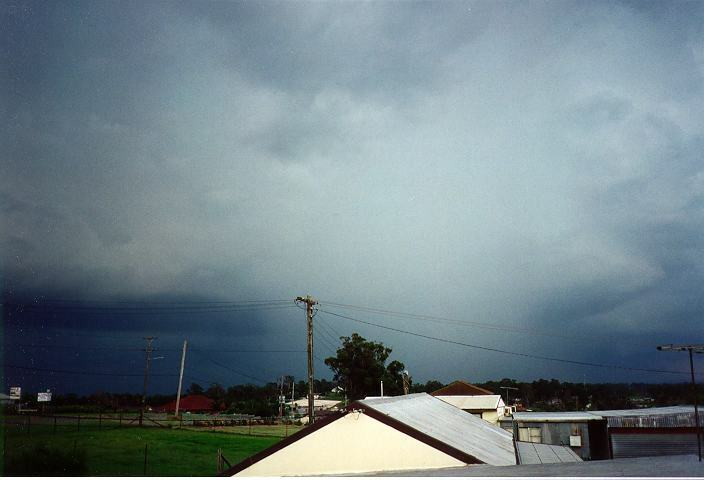 Some of these cells became locally severe in terms of very heavy rainfall in the Richmond area. 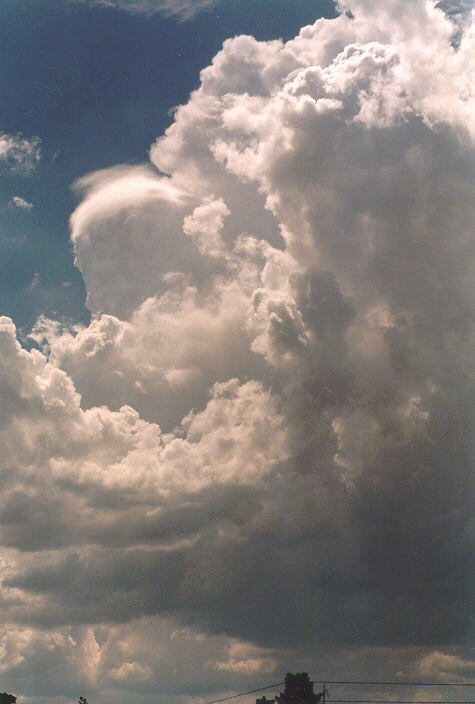 However, it was the spectacular structure around the base that caught my attention as well as the beautiful contrast between different cloud layers. 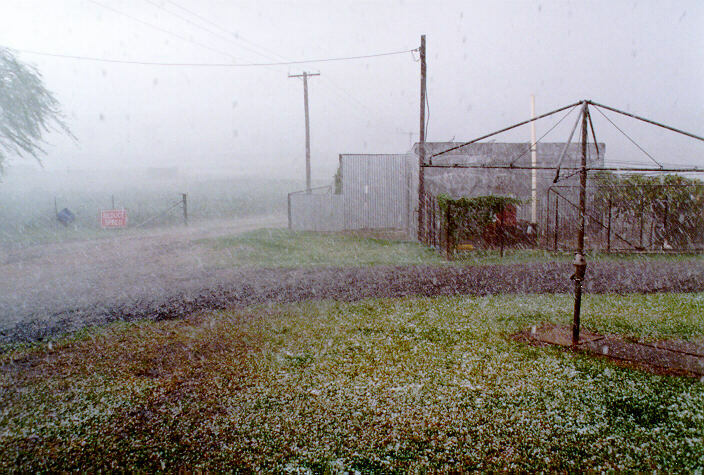 Some regions received hail but not severe. 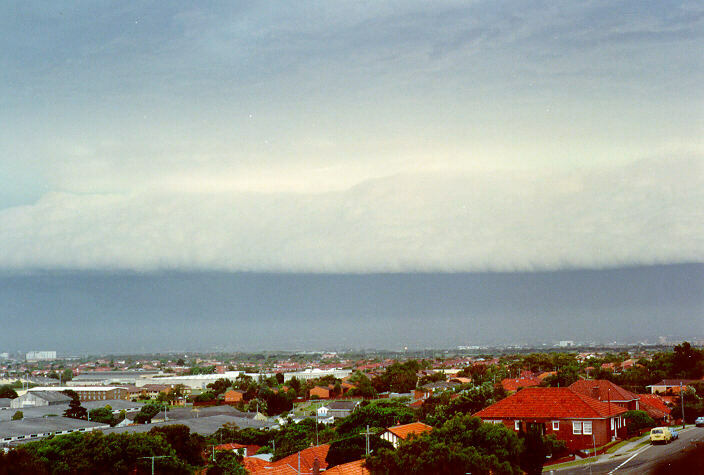 On the 15th of February 1998, a line of severe pulse storms developed in western Sydney. 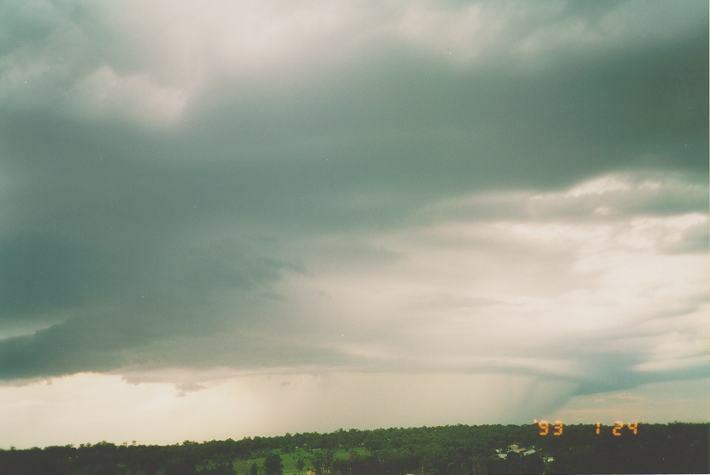 Some of these cells became severe during their most intense stage with downbursts common. 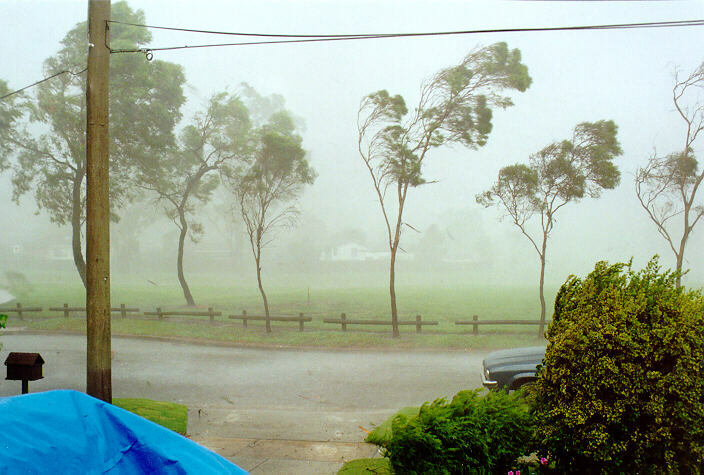 These downbursts causes a lot of damage to windows, roofs, trees in the Rooty Hill to Wentworthville areas. 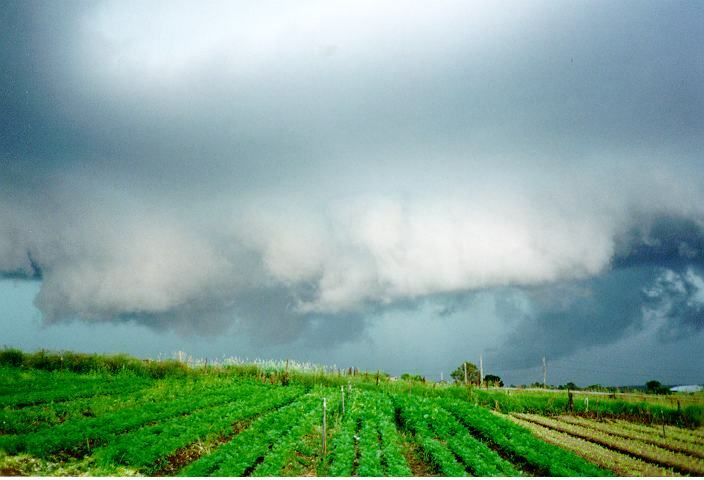 Hail was observed up to 2cm in diameter but mostly smaller. 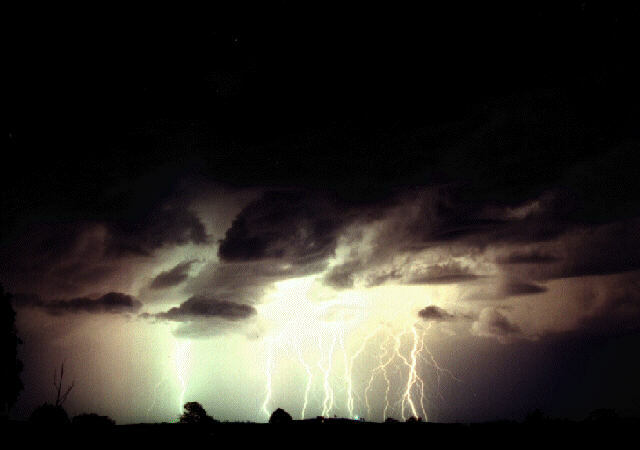 More storms developed during the evening again with duwnbursts, hail and heavy rain. 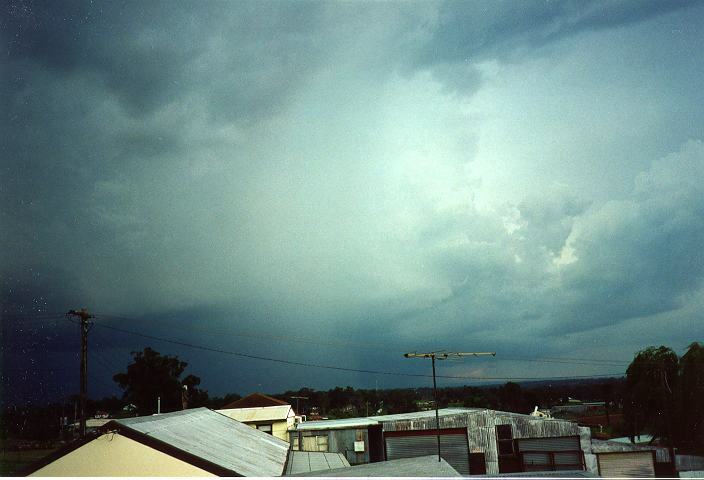 One cell over Hornsby was sufficiently severe to warrant a severe weather warning. 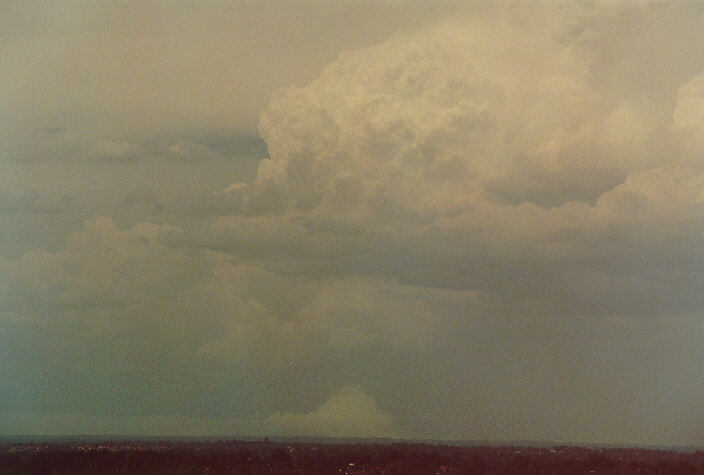 This image is of a storm that drifted by to the west of Magill, a suburb of Adelaide SA on 13th January 1998. 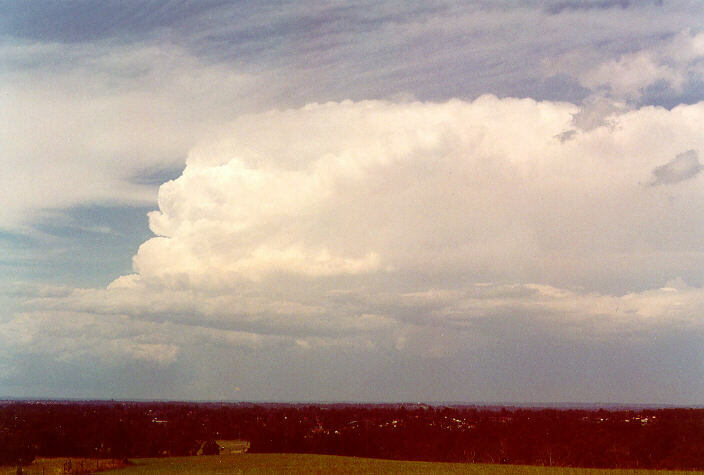 Not a supercell (they are rare events in Adelaide) but a lovely isolated cell. 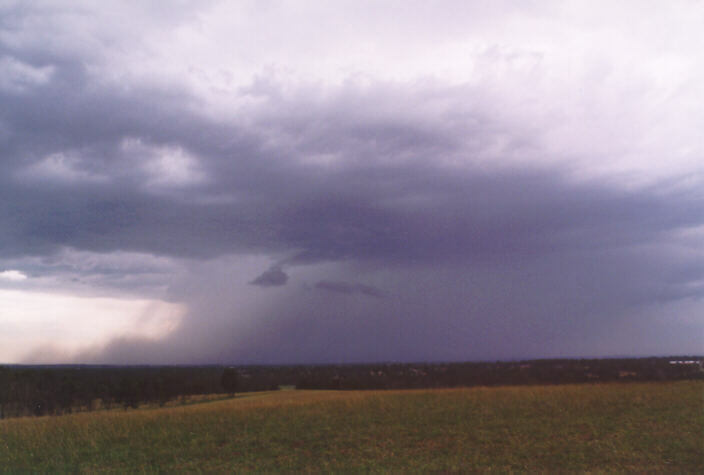 On the same day a larger storm formed over the Mt Lofty ranges just to the east (as they often do on hot days with NE winds) and dumped around 75mm of rain and hail on some outer suburbs. 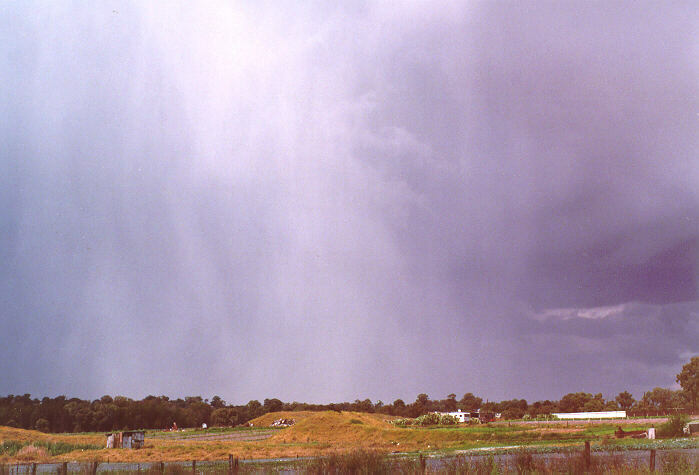 At Magill no rain fell, but the cool outflow from the nearby storm was quite striking. 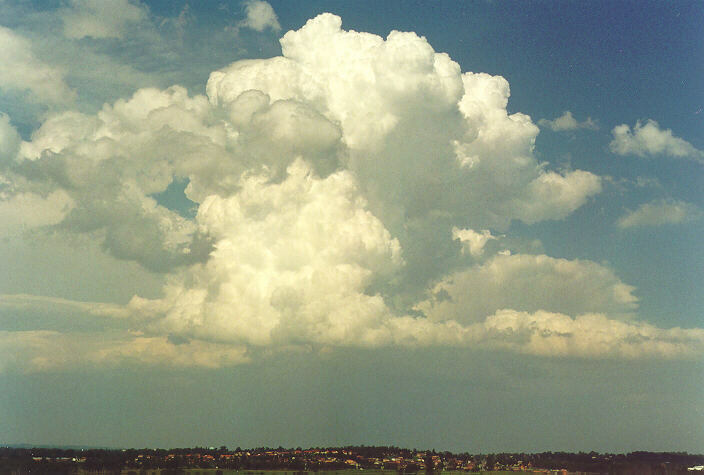 Although 20th September 1997 began more typical of a winter day, the difference I noticed was the large cumulus. 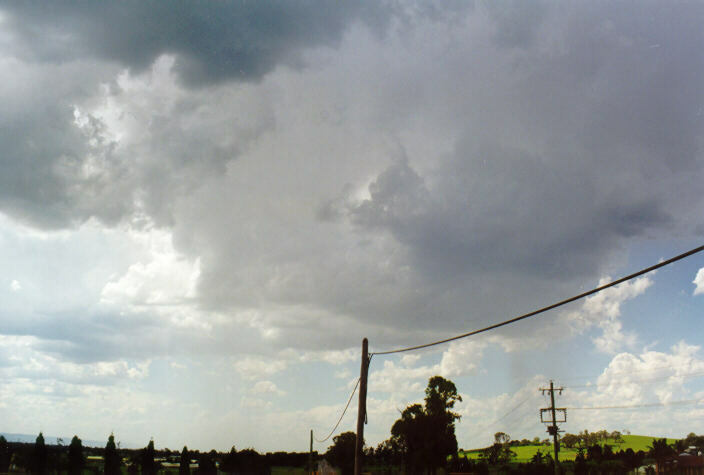 The most intense storm around Sydney approached Schofields by around 1pm. 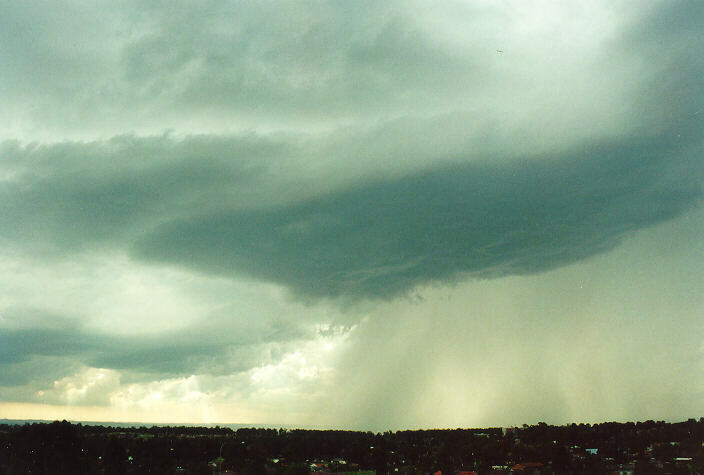 This contained hail of a severe category and lasting about 5 minutes. 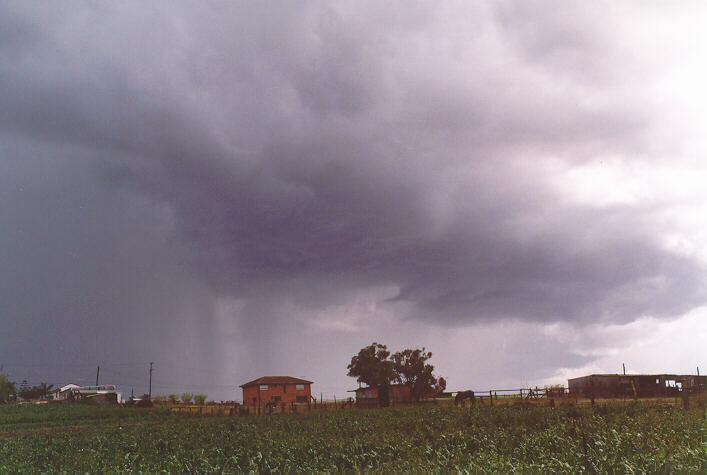 The second storm cell hit around 1:30pm with tiny hail but very heavy rain and windsqualls indicative of a microburst. 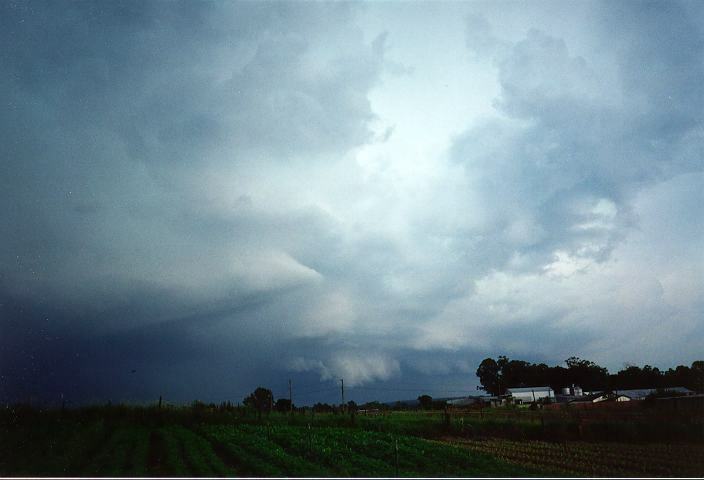 This was the first severe storm of the season and yes it was in September. 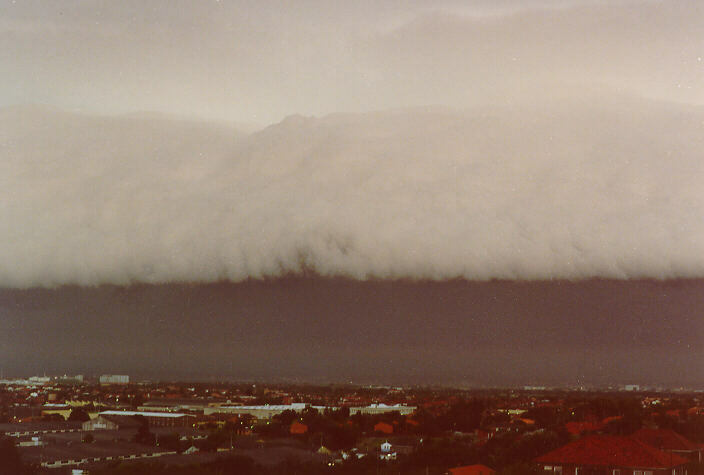 On the afternoon of the 24th January 1993, a band of storms approached which set the scene for an active afternoon. Storms continually developed to the north after this band cleared with some very heavy falls of rain. 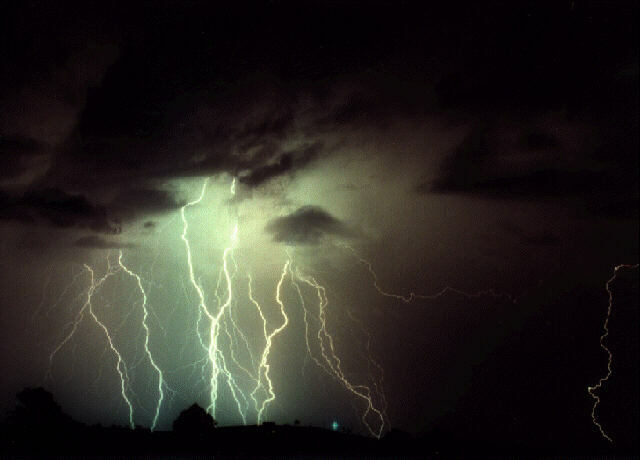 More thunderstorms developed with some local downpours during the late afternoon and evening. 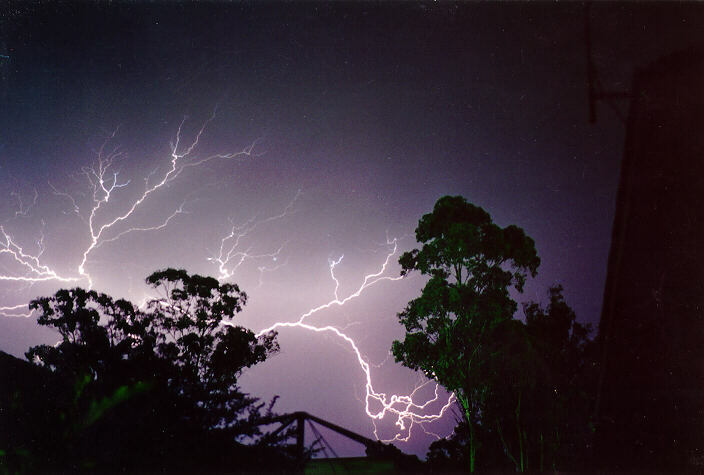 After sunset, violent electrical activity continued into the night for several hours to the north of Sydney. 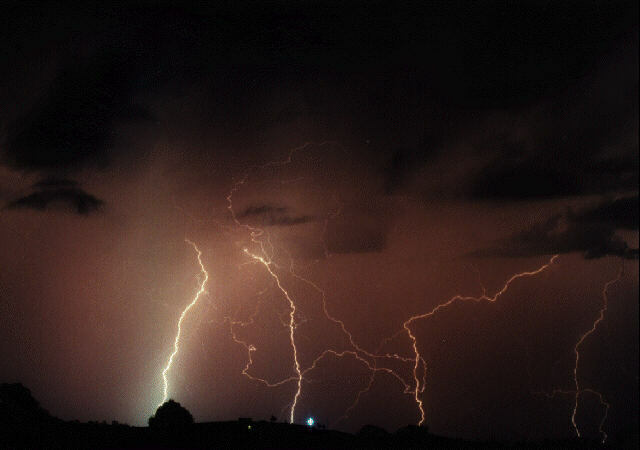 Just as it seemed that the weather had settled, more thunderstorms developed during the late night period with spectacular lightning just to the north of Schofields. 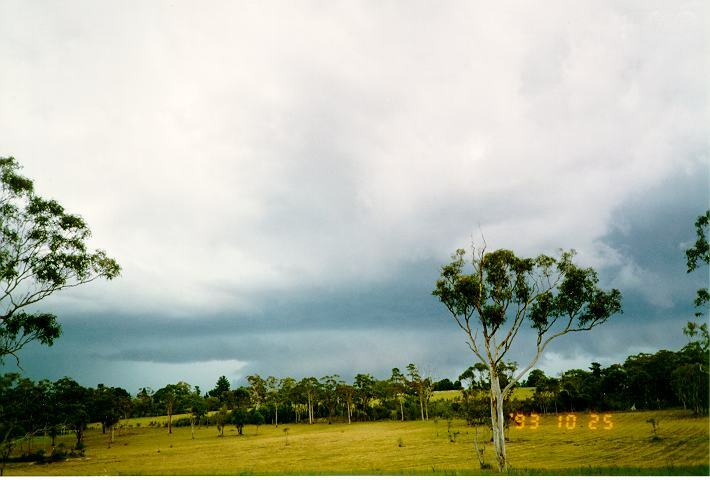 During the late morning of the 25th October 1993, an early cloud band with rain had cleared from the southwest and was replaced by persistent cumulus and altocumulus with stratocumulus areas. 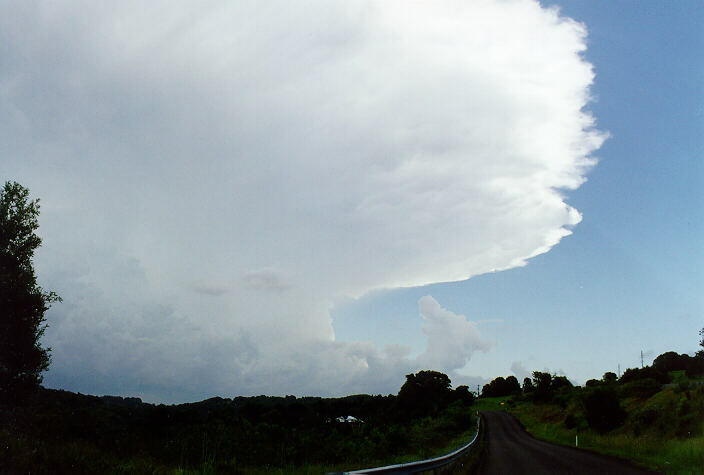 By late morning, storms developed to the southwest of Wyee. 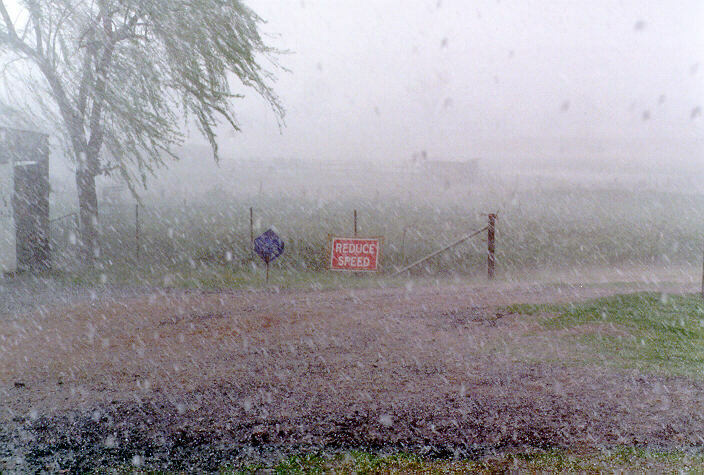 The major storm hit around 12:20pm dumping giant 3-5 cm hail, although some hailstones were up to 7cm in diameter. 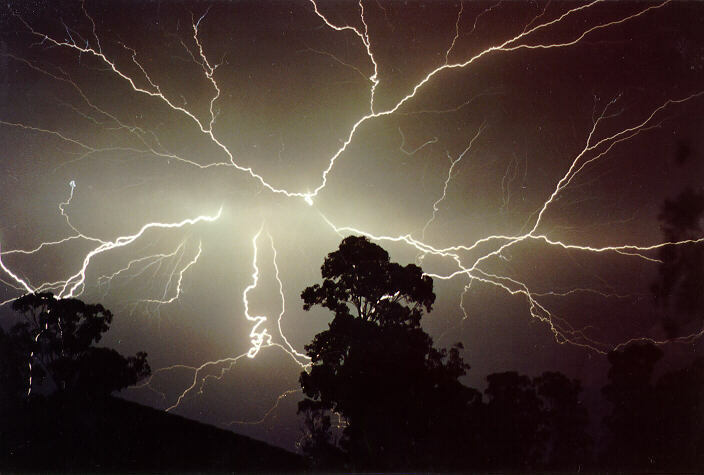 In conjuction with strong winds, the hail smashed windows and uprooted trees as well as denting car panels. 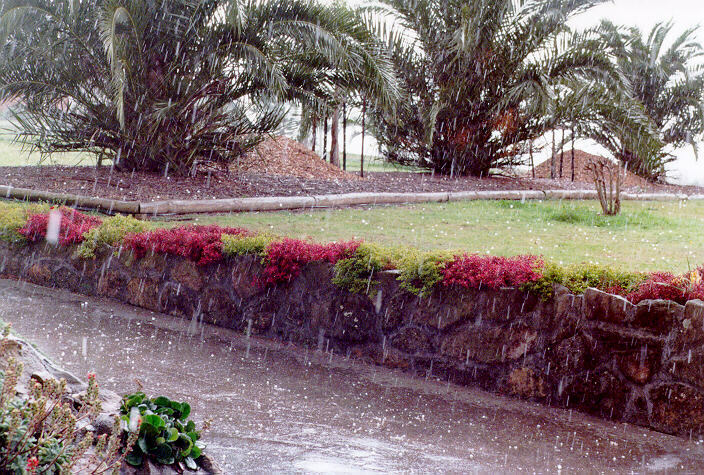 An interesting observation on this day was the jagged shapes of the hailstones. Also, I recall the cirrostratus from the anvil pretuding well ahead of the storm well off the coast, an indication of severity of the system. 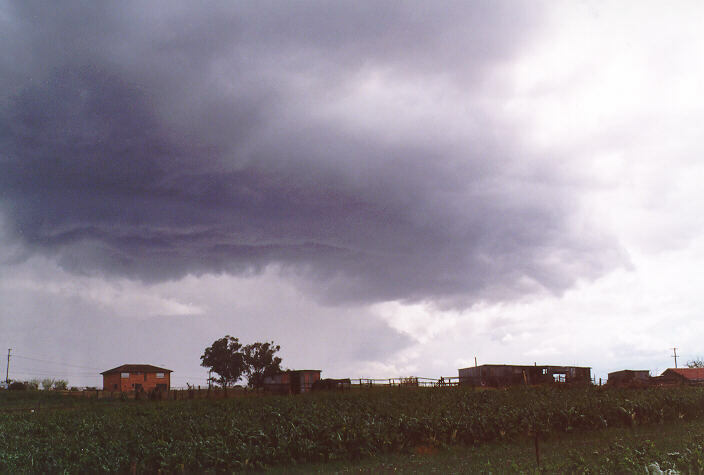 Severe thunderstorms were reported across a large portion of north eastern New South Wales that day. 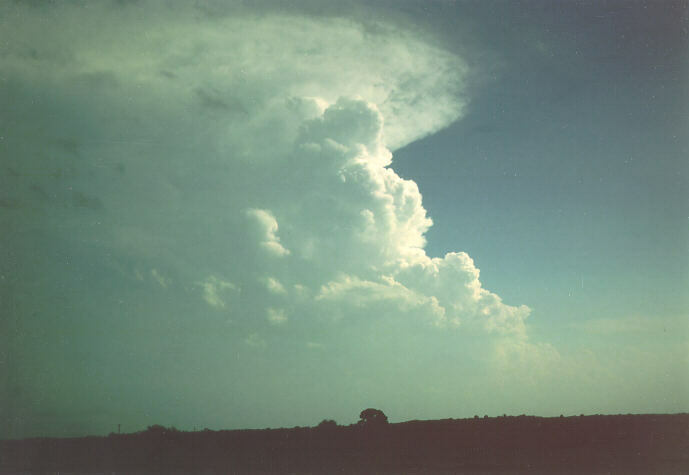 On the afternoon of the 11th December 1989, cumulonimbus approached from the west and southwest. 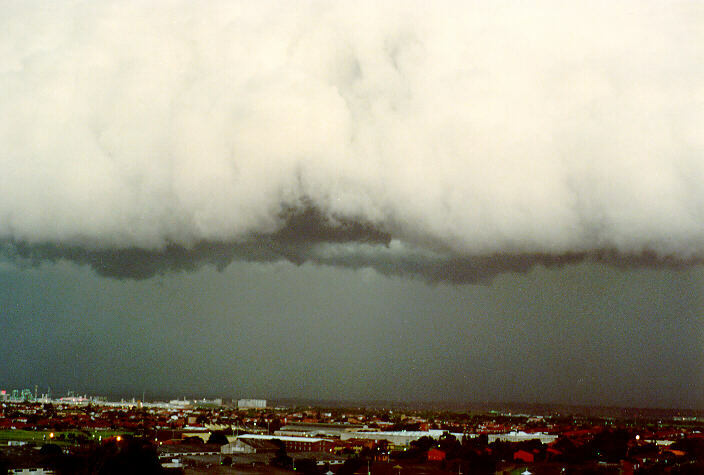 As it neared Sydney, it displayed one of the most spectacular shelf cloud structures I have ever observed in Sydney. It stretched from horizon to horizon. 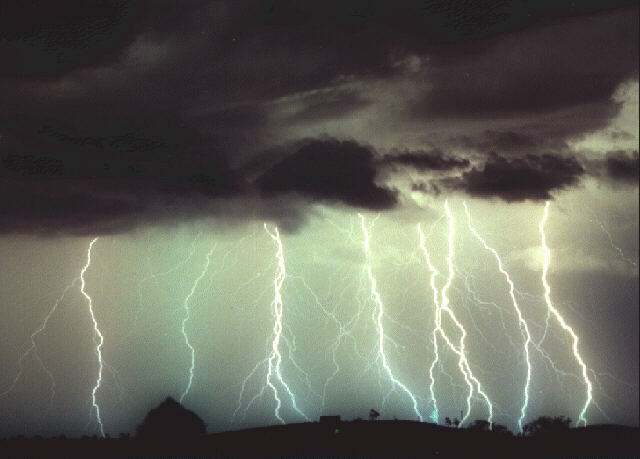 Most of the activity from this storm including strong winds and brief heavy rain occurred in the western suburbs. 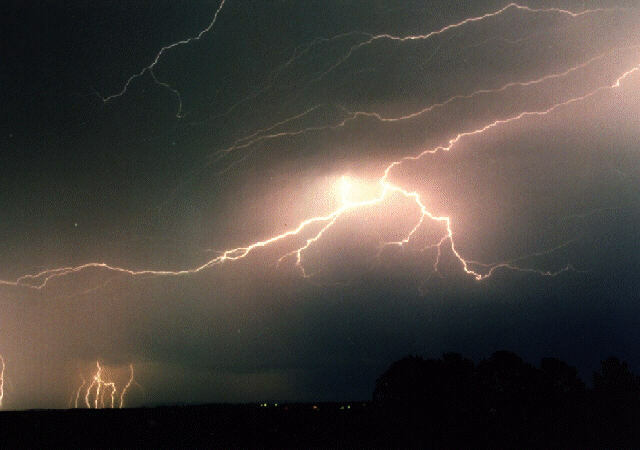 On the 9th March, 1989, several cells developed into severe thunderstorms with very heavy falls of rain. 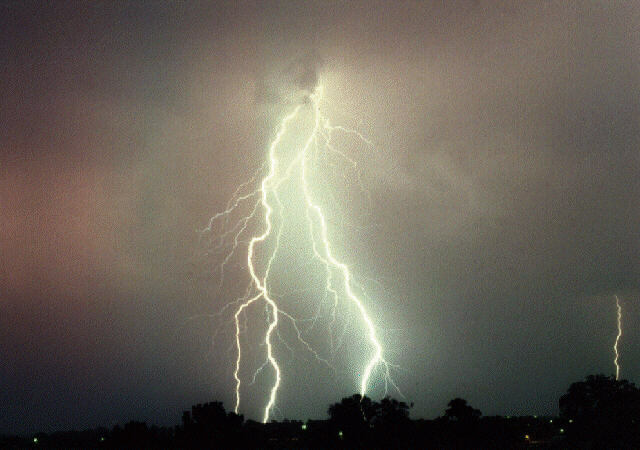 Many suburbs, especially the central and southern suburbs, recorded major flash flooding. 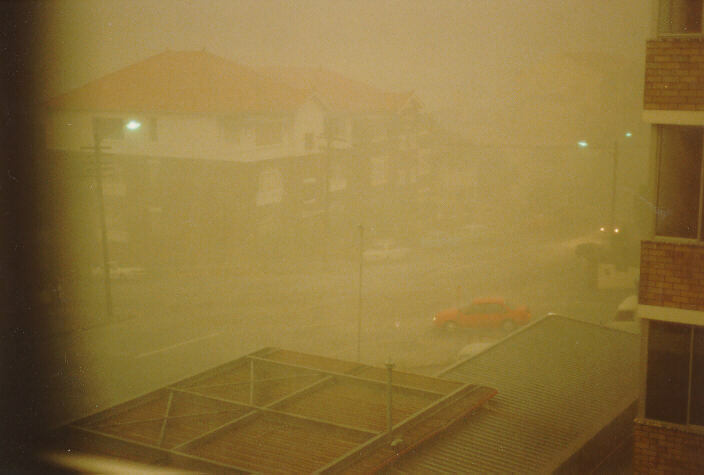 Michael Bath took this photograph during the storm that clearly illustrates the decreased visibility and hence the intensity of the rainfall. 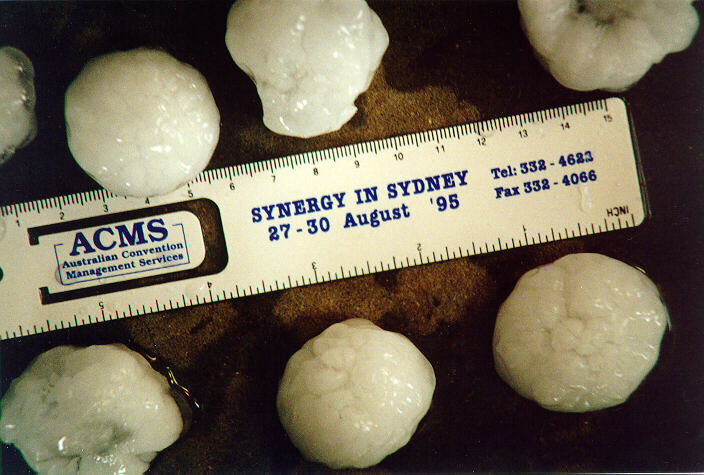 Some suburbs also recorded hailstones up to 2cm or greater in diameter. 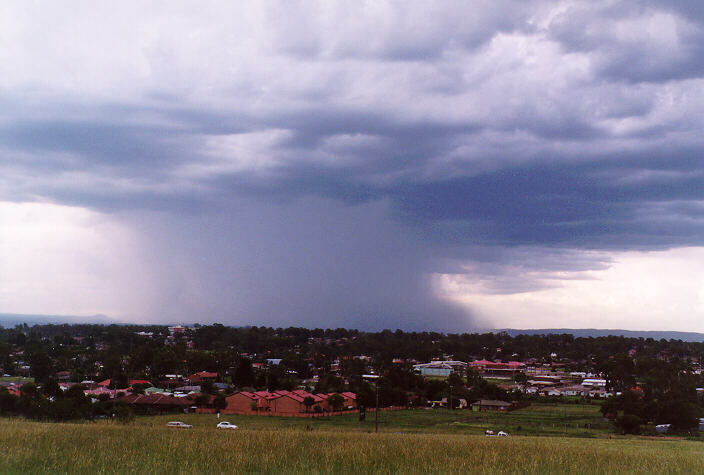 Further to the west and northwest, only moderate rainfall was recorded. 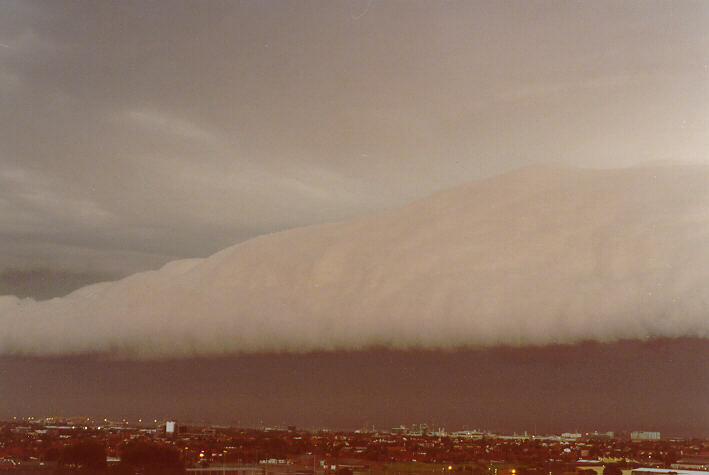 Such great variations in rainfall are common in Sydney. 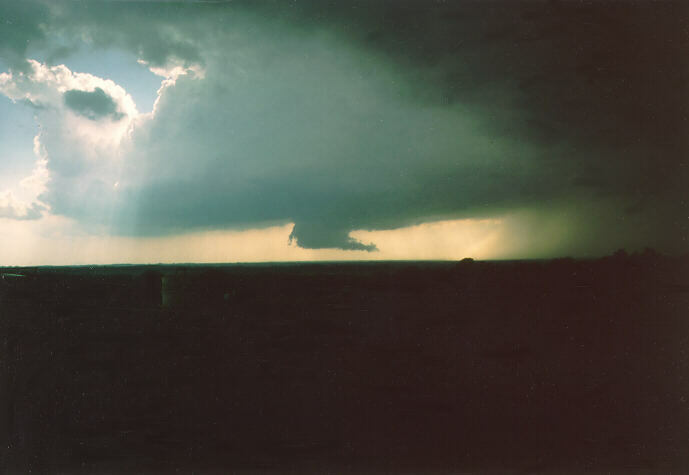 On the 5th February, 1996, this supercell developed and moved through the Central Coast region situated to the north of Sydney. 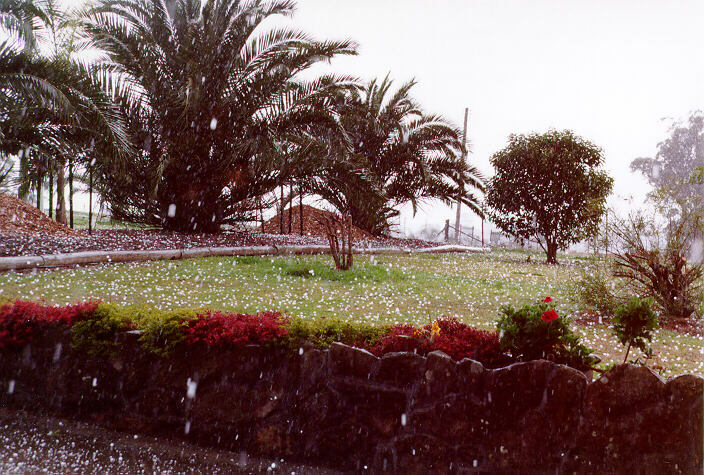 It spawned giant hailstones, severe winds and very heavy rainfall. 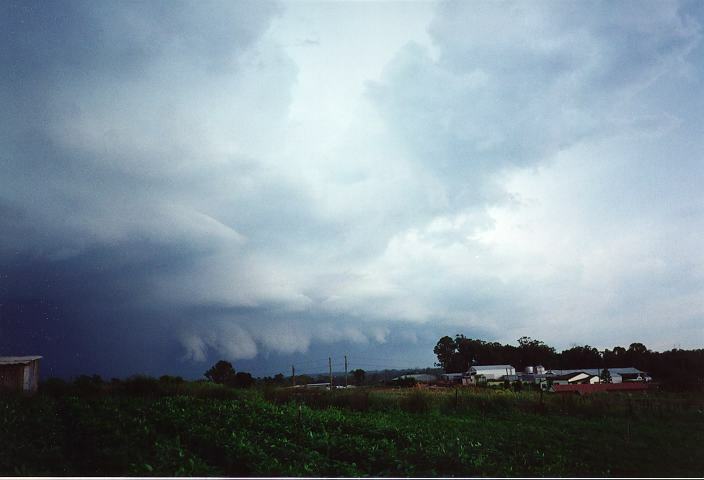 It was described by a local radio anouncer as it approached, as the worst storm to move into the area for decades. It seemed to stretch from horizon to horizon. 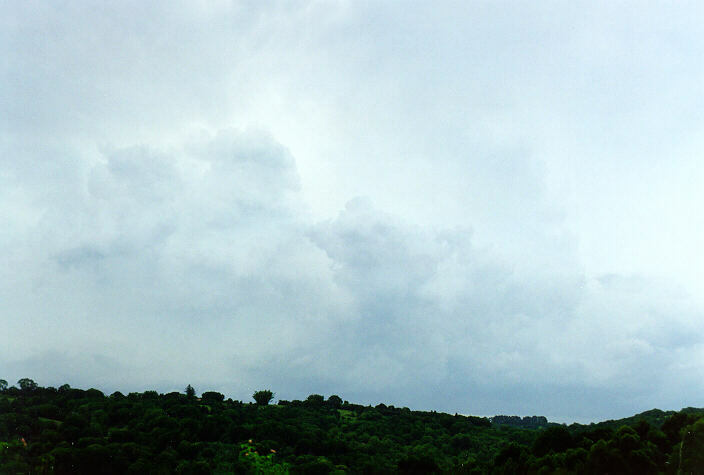 Radar imagery show the tops reaching up to 20 kilometres in height. 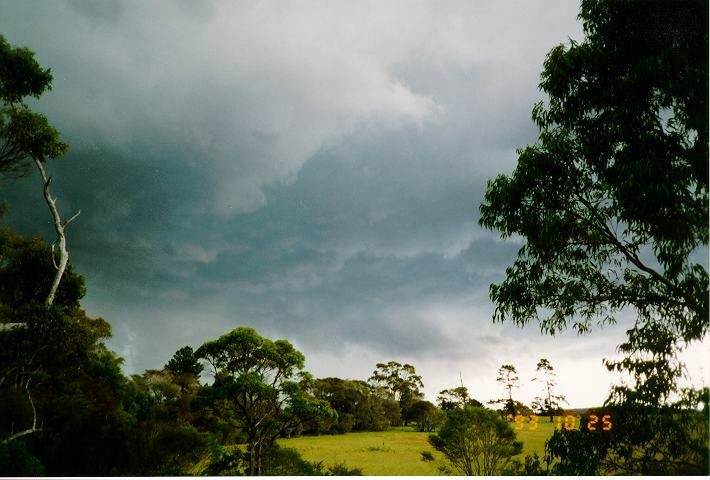 Further south, another series of severe pulse thunderstorms developed bringing swathes of giant hailstones to some suburbs of northwestern Sydney. 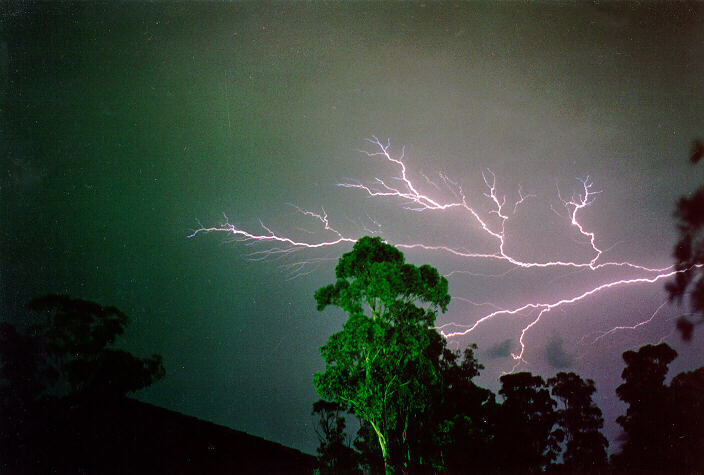 Spectacular lightning taken from storms near Grafton on 21st Dcember 1997. 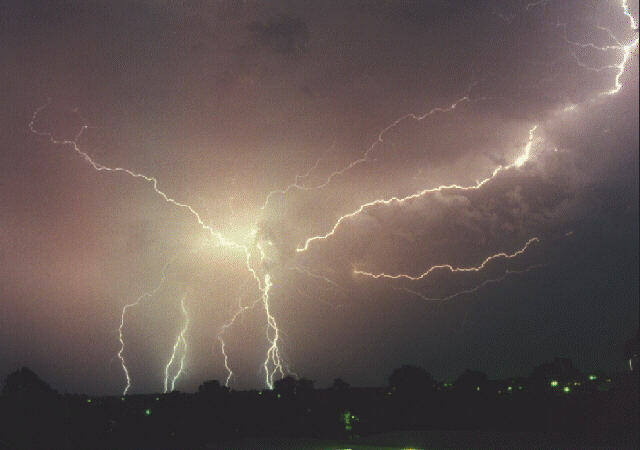 Although this storm may have been associated with severe weather, severe electrical activity does not necessarily mean that the storm is severe or will produce severe weather. 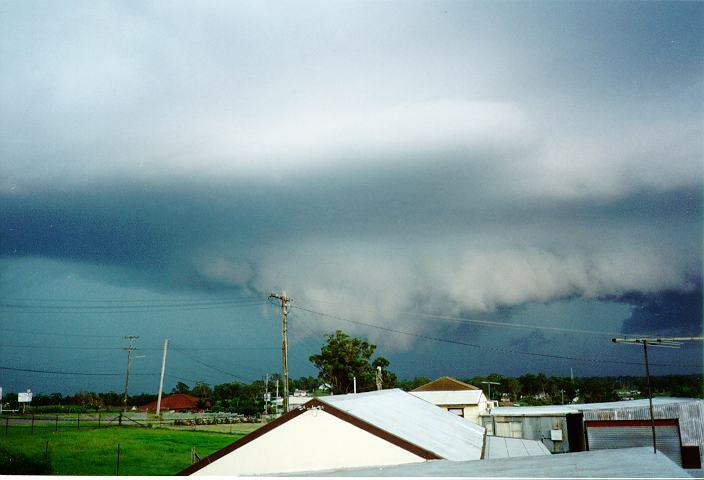 A very large Severe Thunderstorm spreads out over Alstonville in northern NSW on Wednesday 24th December 1997. 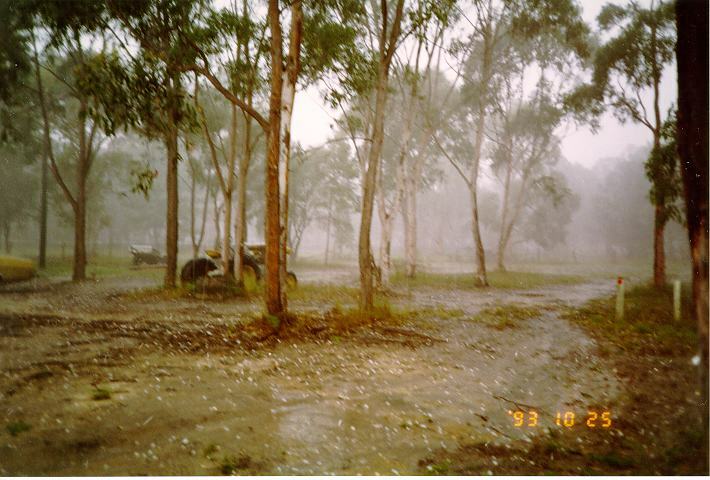 The storm affected property between Casino and Lismore with hail, very heavy rain, strong winds and blackouts. 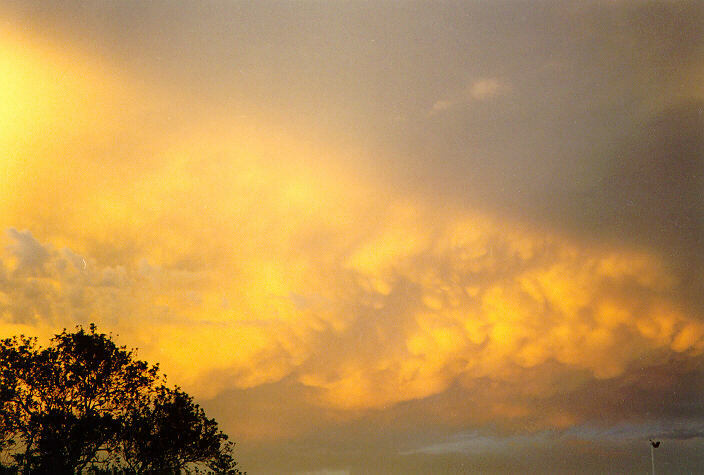 The thick anvil with mammatus persisted for many hours and well into the evening. 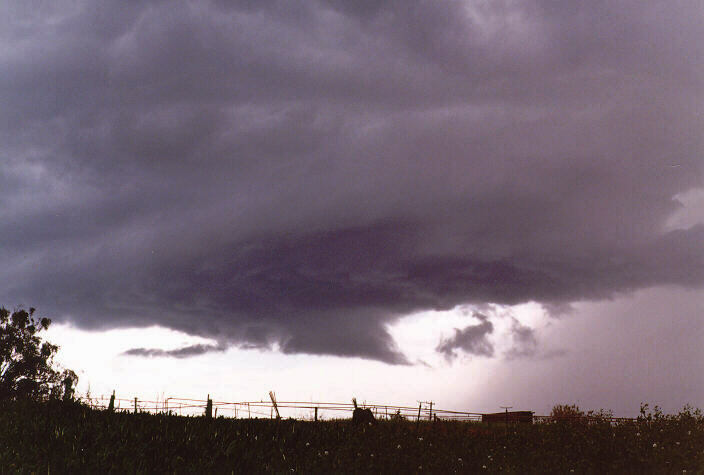 25th May 1997 - A supercell and associated wall cloud with cyclonic rotation (unusual for the United States or northern hemisphere) where rotation around lows are anti-clockwise). This lasted for more than one hour. 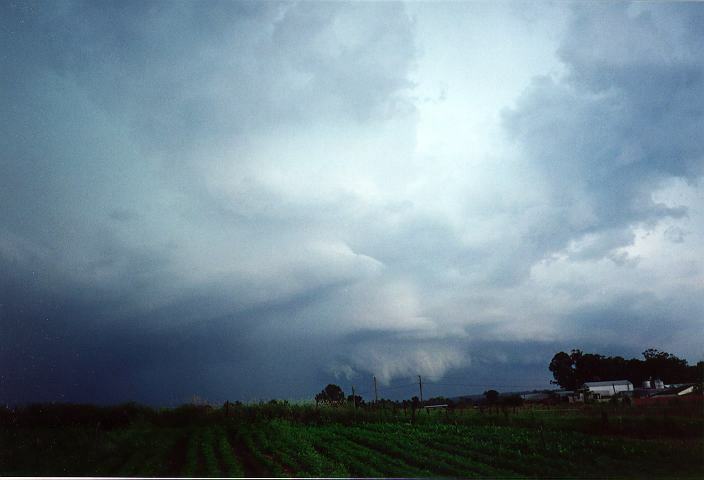 Another supercell was viewed to its south, shown below.